When you have a lot of laminating to do, consider using a roll laminator. These are commonly seen in schools and print shops. Roll lamination is great when you have large documents or posters. 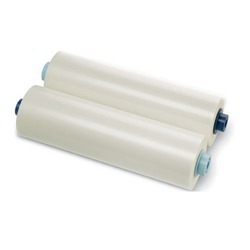 Most roll laminators use two separate rolls of lamination film for laminating the top and bottom of the product. Once laminated, simply cut your documents to size. We sell a variety of laminating rolls in many weights and widths, please choose the thickness you need from the selections below. We also sell laminating pouches, laminating machines and offer a laminating service. 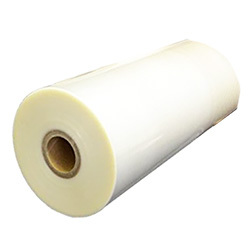 We have an extensive range of laminating rolls available, please use our Contact Us form and we will be happy to discuss your particular needs.